What could possibly be better than an Oreo cookie? Actually, nothing can be better than an Oreo. That’s a proven fact. Put your calculator down. But there are some things that come close. They are all Oreo products though. That’s the best part about it. You can have a Double Stuf that’s stuffed with more cream and cookie than you have ever imagined in your whole life. 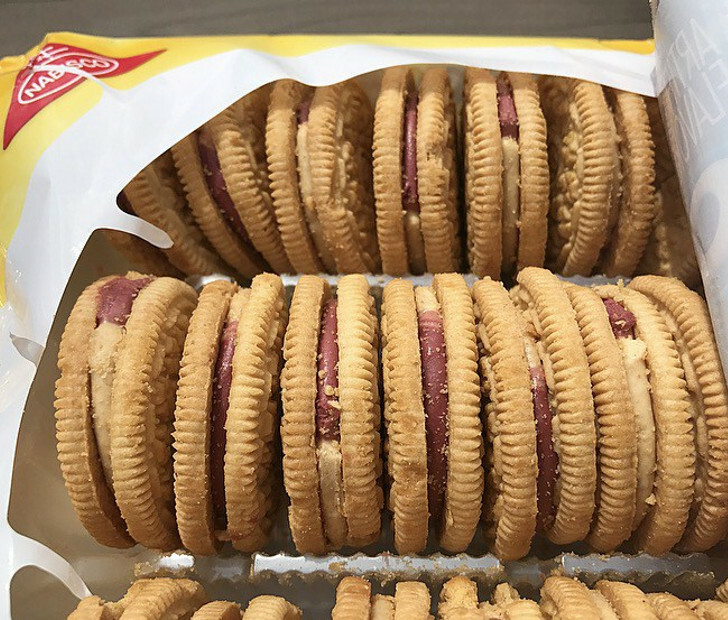 You can have minis, which means you’ll be popping twice as many cookies in your mouth at one time and it will be like double stuffing your mouth. That’s the risk you take! You knew that, though, when you bought a package that had Oreo written on the side of it. Just to name a few more, they also have Red Velvet and Oreo Pudding Pie. That’s right! It’s a pie made of delicious Oreo flavored pudding. You can literally die happy from all the things they put out for your pleasure. So, it’s no surprise that they finally came out with the PB&J. If you loved Peanut Butter and Jelly sandwiches as a kid, here’s Oreo’s PB&J for you to chow down on with milk. The thing about it is, people like me have continued to love the Peanut Butter and Jelly sandwich way into our adulthood. It’s like we decided never to adult. I love making two Peanut Butter and Jelly sandwiches and pouring a huge glass of milk. You have never felt pure bliss until you have washed down a PB&J with a refreshing gulp of milk. It has Nature’s Love written all over it. So, what does the cookie taste like? There are a few good reviews about it. But I think this video is the best one out there for true soul seekers. 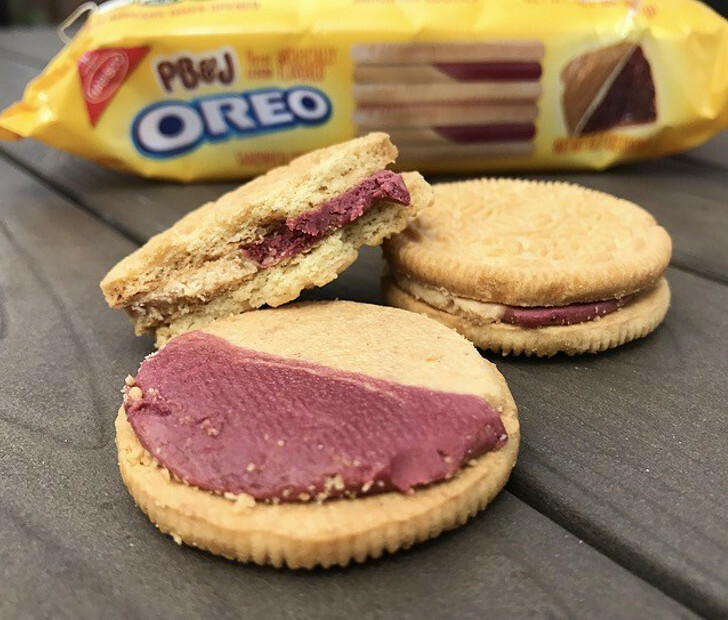 Click NEXT for the best review of the PB&J Oreo Cookie! Previous ArticleDo People Go To The Gym More If Offered A Cash Bribe?